Bangalore / Bengalooru city guide offering information on travel and tourism in Bangalore- the garden city of India. >Bangalore, the capital of the Karnataka, is fifth largest city in India. The exact origin of Bangalore is not known, but it is believed that the city was founded somewhere in the 16th century. Bangalore lies at a distance of approximately 998 km from Mumbai and 562 km from Hyderabad. Situated at an altitude of approximately 920 m above sea level, it is also known as the 'Garden City of India'. The beautiful parks and gardens and tree-lined streets of Bengalooru make travel to the city a pure pleasure. The year 2000 saw the introduction of Information Technology in Bangalore and since then, the city has not looked back. It has reaped the most out of the IT Boom in India and boasts of the highest concentration of IT companies in the country. Today, Bangalore is known as 'The IT Capital of India' and "The Silicon Valley of India'. The Bangalore city is also very famous for its amazing nightlife. Some of the most happening discotheques and pubs of the country are in Bangalore, making it one of the most happening cities in India. Even from education point of view, Bangalore is very popular. 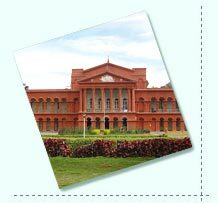 A large number of students come to Bangalore every year to enroll in the various undergraduate as well as postgraduate programs. The city also boasts of two excellent institutions, namely Indian Institute of Management and Indian Institute of Science. 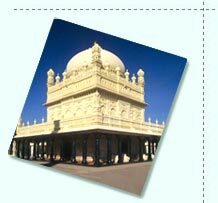 Bangalore is also used by tourists as the base for visiting the other cities of Karnataka.